The Blue Angel's requirements for energy-efficient data center operation, which have been in place since 2011, go far beyond the PUE (Power Usage Effectiveness) indicator used predominantly in the industry. Minimum requirements for the IT optimization of the data center are also included in the evaluation. “In the interests of optimizing energy efficiency and conserving valuable raw materials, the capacity of the hardware used should be exploited to the greatest degree possible,” says Köhn. Data centers must therefore demonstrate the degree to which they operate their IT systems in an energy-efficient and resource-saving manner. In addition, they should commit to making further long-term efforts to further optimize energy and resource efficiency. “Only colocation data centers that are particularly strong in terms of energy efficiency and sustainable operation will meet the Blue Angel criteria. 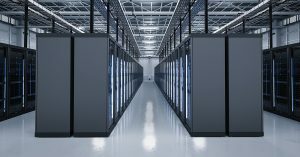 This gives the German colocation industry the opportunity to show how efficiently and sustainably it can operate data centers,” says Marc Wilkens, who welcomes the initiative. The Leader of the Competence Group Datacenter Efficiency of eco – Association of the Internet Industry is involved in the implementation as a project partner. Since 2011, data centers that are particularly energy-efficient and that are cooled using a climate-friendly approach have been able to apply for a Blue Angel. Very few data centers have fulfilled the high requirements to date and now carry the Blue Angel award. However, the Blue Angel has established itself as an orientation aid for energy and resource-efficient operation in public authorities and industry. Colocation data centers, which were previously excluded, will more than likely be accorded the opportunity to apply for a Blue Angel in the course of 2019.